512 N Eleven Mile Corner Rd. The Casa Grande Gun Show will be held at the Pinal County Fairgrounds in Casa Grande, AZ. This gun show is promoted by Arizona Gun Shows. Hey y'all! We'd love to see you at another one of our vendor packed shows, December 9th and 10th, 2017! This show will be located on the Pinal County Fairgrounds in Casa Grande, AZ. There over 100 vendors selling scopes, tactical gear, ammo, holsters, knives, conceal carry bags, and tons more. General admission is $8, kids 12 and under are free. $1 off at the door for our nations great veterans and seniors. 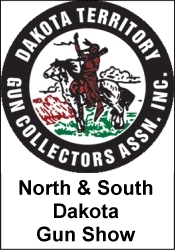 Raffle tickets available for purchase onsite to enter to win a rare collector gun! Follow Arizona Gun Shows on Facebook to stay up to date on giveaways, details, and merch. See you there! All federal, state and local firearm laws and ordinances must be followed. *** Please verify the show times and dates before attending the "Casa Grande Gun Show", as they are subject to change.